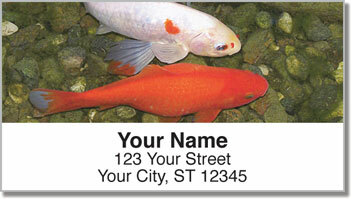 In Japan, they call colorful koi fish swimming flowers. Spend a little time staring into a decorative pond watching these creatures swim around and you'll understand why. 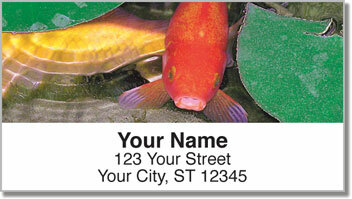 Koi are simply common carp bred for beauty. Most of us would never notice a dull gray carp in the water. But these labels show how you can make the ordinary extraordinary. So why not take your dull outgoing mail and give it a makeover? 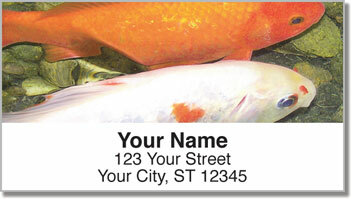 These return address labels make an eye-catching finishing touch. Plus, you'll also save a ton of time thanks to the convenient self-adhesive backing. 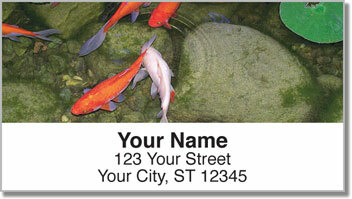 Get your very own Koi Pond Address Labels from CheckAdvantage right now! This attractive wildlife design is also available in matching checks.